Darling and I love travelling. Before Ethan came into our life, we traveled overseas at least once a year. With Ethan, we only traveled abroad when he touched 2. We learned then that travelling with a kid is totally different and a lot more tiring. We are lucky though that Ethan loves travelling as much as we do. He is able to sleep anywhere as long as we are around. Now I have Ayden. I was wondering if Ayden can travel as easily as his big brother. We decided to test the water by going for a retreat an hour away from home so in case anything we can always go home. 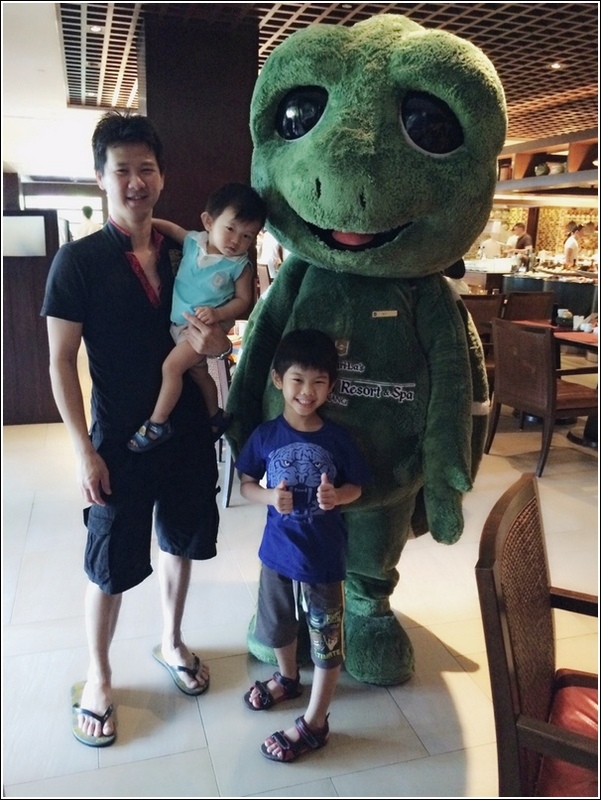 We went to Golden Palm Tree Iconic Resort & Spa. I knew from the moment we made the reservation that it will be handful to bring Ayden who is only 10 weeks old along but we were determined to make it work. First, as usual we always get Ethan involved from the very beginning. We let him know that we are going for this retreat and showed him the villa online to let him know what to expect. By doing so, it gives some sense of familiarisation in him. Having an itinerary however is also a risk as if the kid is not understanding enough, he will pressure us to complete everything in his list accordingly. That said, we had to explain to Ethan that certain activities are weather dependent so he’ll have to cross his fingers and toes that it won’t rain while we are there. So the actual day finally arrives. Check-in time is 3pm. We planned to leave home by 2pm but at 3pm we are still home. Why? Because with an infant, after changing his diapers and feed him, we are back in square one – changing diapers. And then he got hungry and I had to feed him again and then the diaper change again! We finally set foot at the villa at 5pm. First thing I did was to feed the baby. Then we went to the beach so we can cross an activity off the to-do list. Ethan engrossed playing with the sand while it is almost sunset. Ayden can’t stand the strong wind and I did not want him to catch the chill but Ethan is not ready to leave so I took Ayden back to our villa while Darling stayed with Ethan at the beach. I needed to nurse Ayden again anyway. The next day when Ethan wanted to jump into the infinity pool, Darling accompanied him while I sit at the lounge by the poolside with Ayden. It was extremely windy there so it is impossible to let Ayden into the water. Buggy ride is a common thing here. This is how we move from Point A to Point B so we can cross this off Ethan’s list as well. The ride on the buggy is again extremely windy especially at nights. I had to hold Ayden tight and cover his head. Ethan told me to sit in the middle between him and Darling so he can ‘protect’ his little brother from the wind! Such a hero I have there! 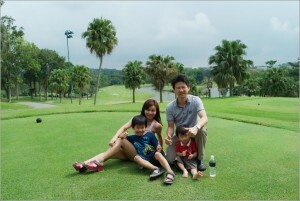 Besides the buggy, we can also cycle anywhere in the vicinity of Golden Palm Tree. Those bicycles are free of charge and we can just grab one and go. Obviously we can’t cycle with Ayden so Darling and I had to take turns to cycle with Ethan. Ethan did not manage to jump on the bed because when he remembers about it, his little brother is already sound asleep on it. Being the bigger brother he has to scrape his plan for the time being and let Ayden sleep peacefully. All in all, there were a lot of give and take in this vacation. 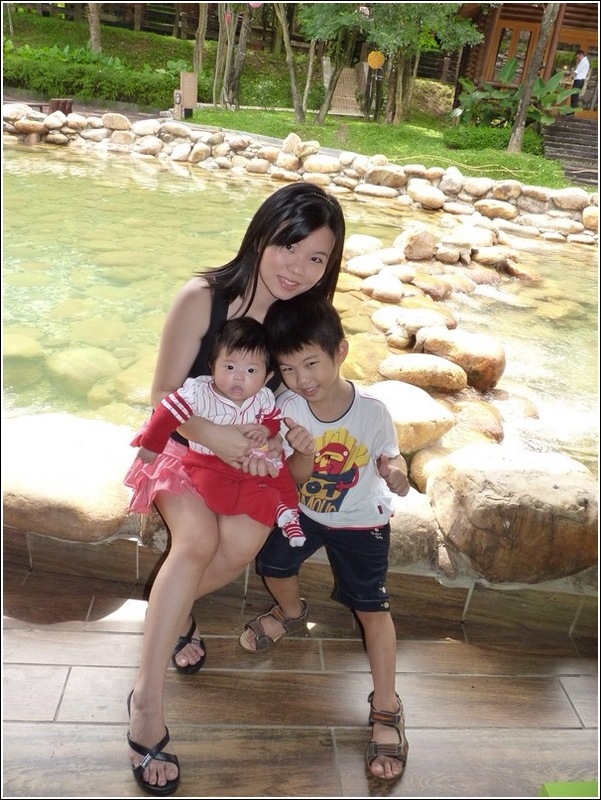 We are glad Ethan is very understanding and did not make a fuss when there was delay in plan because of Ayden. At times we had to spend time apart to be together. It is good though as I feel closer to each kid while spending separate time with them. We focused on one kid each at a time and the bonding that we got during this trip is priceless. We also know now that Ayden can sleep anywhere as long as we are around, just like his brother. As for Darling and I, we managed to sneak in some private moment at the balcony after the kids fall asleep. We NEVER went on holiday after our daughter came along…not without her but we did wait till she was a little bit bigger – one year plus, like that when we took her to places that she would love and enjoy herself. Yeah with the kids around, our plans all revolved around them. When we plan of countries or places to visit, we make sure that it is of interest to them. Is a boy. Now 5 1/2 months – Little Wai boy. Like your last statement – My last 2 trips is without my boy and it was bad. We keep on missing him and do not really enjoy the trip. After that, we determine to bring our boy wherever we go. I know I wont be able to survive going on trips without my kids. Not until they are married and living on their own. LoL! We never go travel without my daughter. The first trip which we brought our daughter is to visit my husband hometown, Hong Kong when she was 8 month old. She was entertained by stewardess on the plane. The 4 hour trip went very well. From the last experience, then, we decided to make a longer distance trip that was to visit her grandmother in The Netherlands when she was 14 month old. The 13 hour trip went very smooth too. My daughter was able to sleep soundly in the bassinet and she hardly cried in the plane. Also, she coped well with the cold weather there and I found that she behaved even active and more excited in cold weather. That is really amazing! 13 hours! Even I can’t stand super long hours on the plane. I almost went bonkers when we flew to Europe years ago.. haha! We did not want a cot for Ayden. I dislike using other ppl’s cot. Haha! I never went overseas without the girls… without hubby? Often.. :) It will get better and smoother with practice… the most important part is to take the first step and plenty of planning…. Ayden is such a good baby. My Faith is a handful..so we dare not bring her for holiday till she was ok sitting in the car seat. But can’t sit in the car seat for long …sigh.. The bicycles are so pretty, some in pink too! PS: Bravo Merryn & William, to make this trip a successful one! But, at the end of the day, when they are asleep we had the greatest satisfaction earned from the day seeing their priceless smile and happiness. It’ s so true. Rather stay with them instead of traveling without them. didn’t know this hotel has such a nice pool. With 2 boys now, how do you do the sleeping arrangement?